Two years ago, I got an Iver Johnson 1911 with a .22 conversion kit. Last year, I got a spare magazine for it but had not tried it until today. 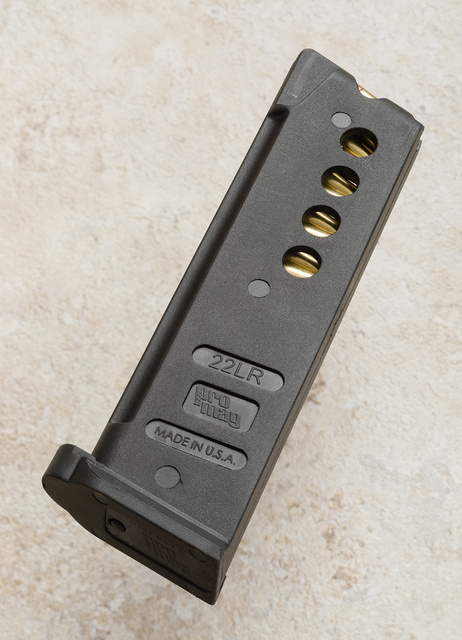 The new magazine, made like the one included with the pistol of billet aluminum, didn’t fit the magazine well! Upon close examination, I could see that it was machined much more roughly than the first magazine, and was a bit wider. Internal machining was also rougher, and caused a couple of snags during the unloading. Fortunately, I also had a 14-round plastic magazine “for Kimber, Iver Johnson and Marvel 1911-22”. It loaded easily enough and fit the gun well. Tighter fit meant it wouldn’t drop free when released, but also that there was absolutely no wiggle once seated. Available for slightly less than half the cost of the original ($45), it turned out to be a good deal. PS: the Marlin 25-rounder I recently mentioned tested out in a Papoose take-down carbine today. Its owner also had a 75-round Promag drum which seems discontinued — a pity, as it seems to be similar to Black Dog Machine 50rd drums in design and execution. 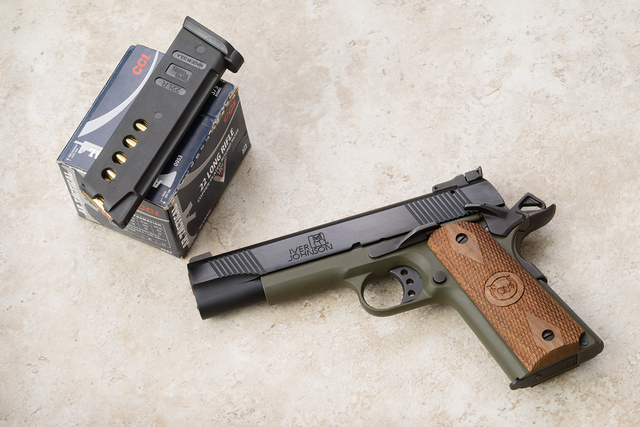 This entry was posted in pistol and tagged 1911, 22LR, Promag. Bookmark the permalink. A problem I’ve run into in my store. 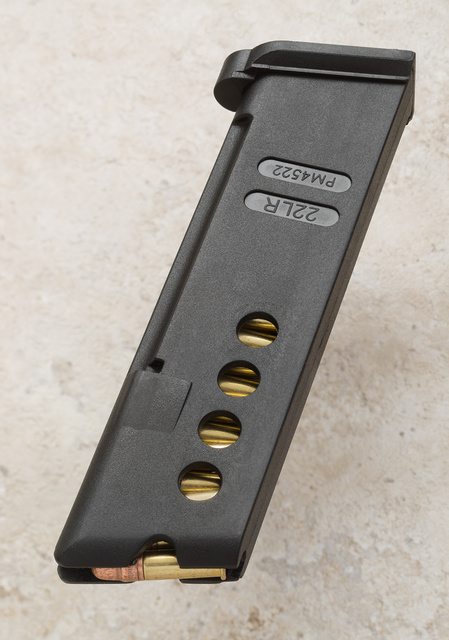 That and unlike the basic 1911 design there seems little or no standardization of the magazines. Terrible for having magazines for customers who come looking for a mag for a gun they bought last year that I can’t find from any of my wholesalers.